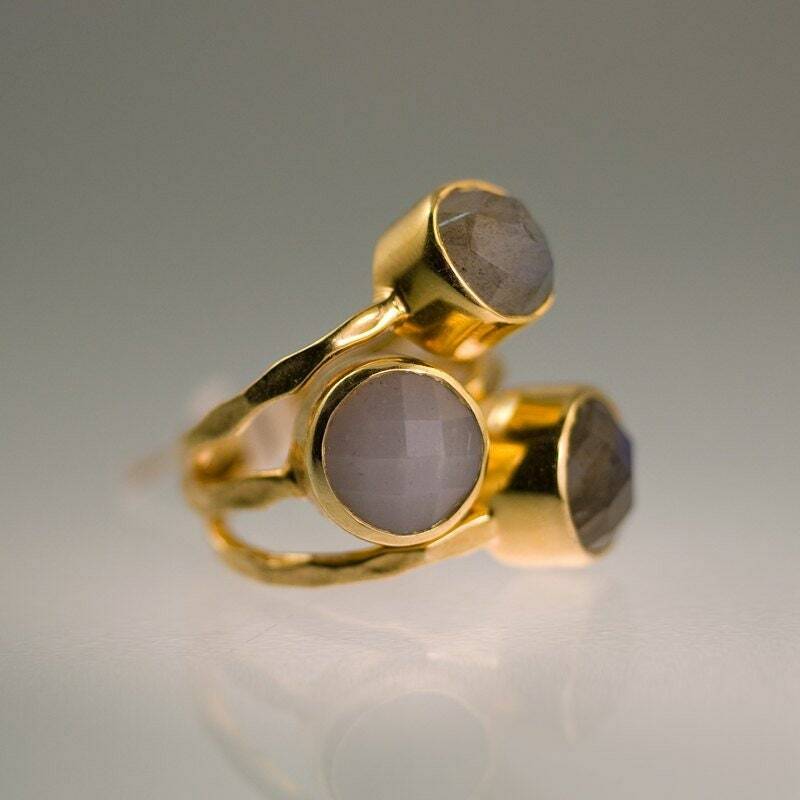 A natural Grey Moonstone ring, available in 18K Gold Vermeil! Please select your size from drop down menu. *PLEASE NOTE: Because we use natural stones, the stones may vary slightly in shape, size and color. 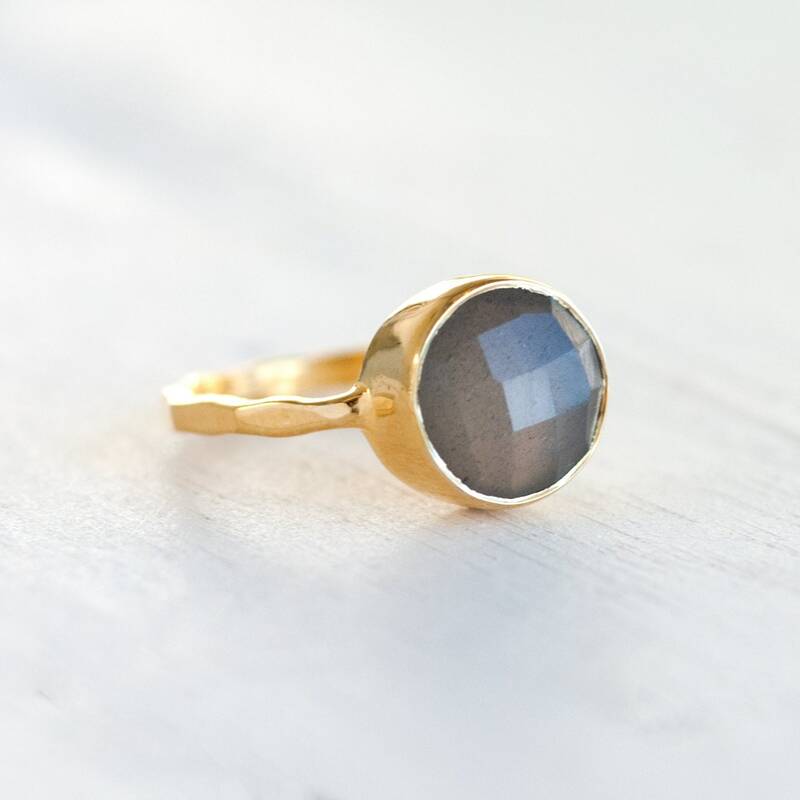 ✦PERFECT FOR STACKING! We recommend getting 1 size larger than your usual size if you plan to stack the rings together since they do feel smaller when stacked. We are always happy to offer size exchanges when needed. 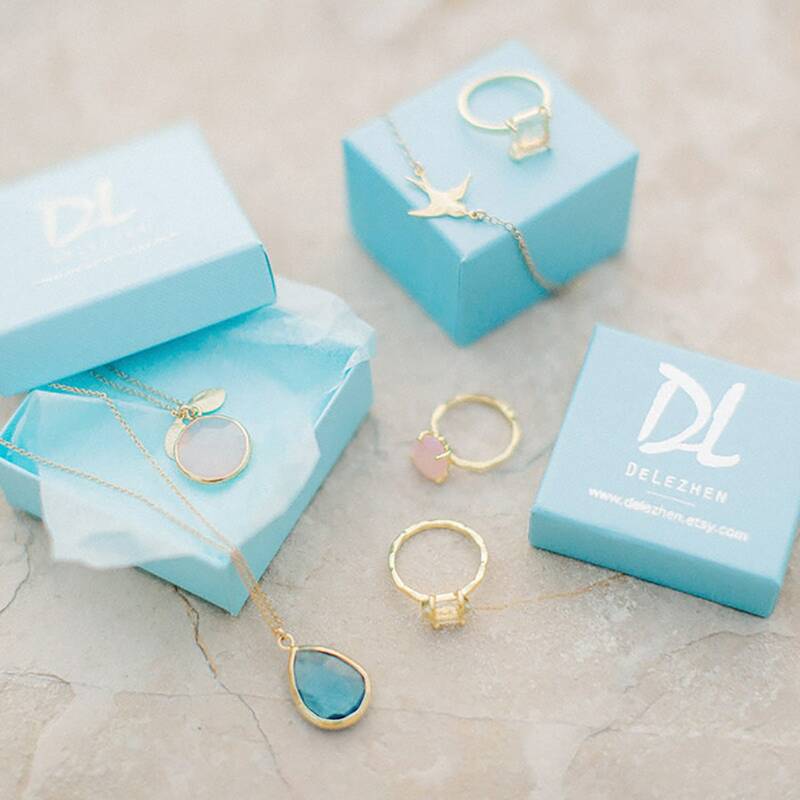 While we do not officially make half sizes, because the rings are handmade, they can vary in size and most of the time we can select a band that is close to a half size. 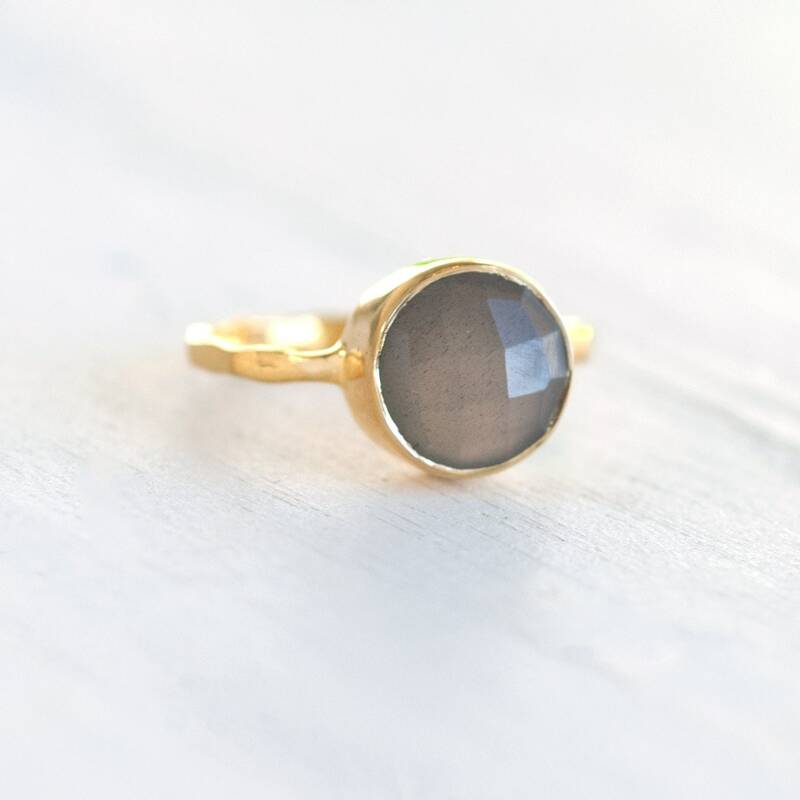 If you are interested, you are welcome to purchase a full size ring and leave a note in the comment section at checkout requesting a half size instead. We will be sure to select a ring as close as possible to your request. Current production is 1-2 days on all Rings. Check the top of our policies page for the most up to date production and delivery times.